Dim Sum Delivery - Let Yum Cha Express be your Party Host! Dim Sum is one of the best PARTY FOOD, because they are mostly bite-sized and thus, easy to eat. 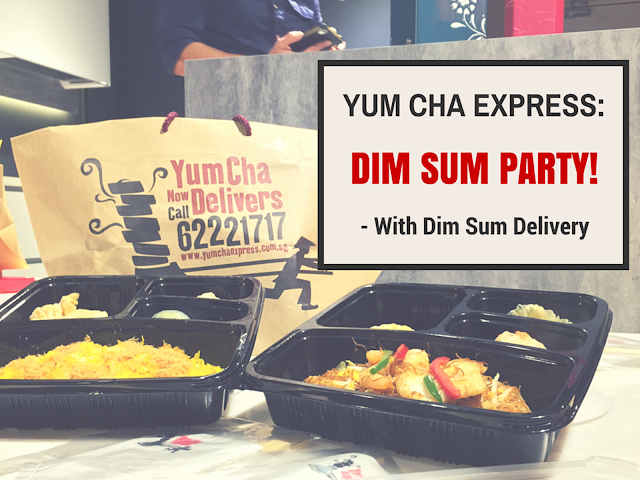 If you are looking to plan a party for: the upcoming Mothers' Day, Birthdays, Office events or even a mini-Zoukout in your house, Yum Cha Express would be your ideal food host. 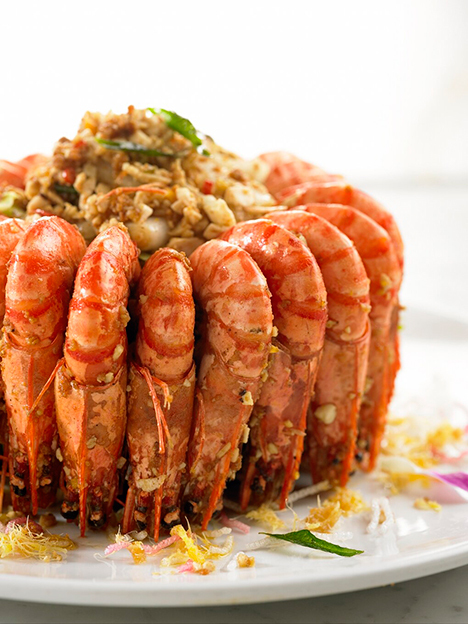 However, your eating style would be totally different with Yum Cha's Dim Sum as your food host. Almost every food item can be eaten with just a poke of your fork, saving you from greasy fingers and unglam eating. There are over 70+ food and drink choices for you to choose from in their delivery menu, and out of all those choices, which was my FAVOURITE DIM SUM OF THEM ALL? YES! This BBQ pork bun had a soft and fluffy dough and the insides was filled with slick, sticky char siew that will whet up your appetite for even more dim sums. This char siew bao will go very well with a glass of cold, green tea... Oh the image of having a bun in one hand and a glass of green tea on the other is just... simple bliss. To ensure that you get your Dim Sum just like they came right off the steamers, Yum Cha Express transports them in a specially customised bag with an internal heating element, and packs their food in microwavable paper boxes. Therefore, anytime you want your dim sum to be warmed up again, simply pop them into the microwave, wait for the "Ding! ", and your food will be piping hot again! We really had a Dim Sum feast at the event. Just look at this mouth-watering photo! Don't you wanna grab a pair of chopsticks and pick out those Siew Mai and Prawn Dumplings to your imaginary plate? I regret taking only one, because not only was it delicious, I later realise that this is also one of their specialty in their restaurants. And the plating, if you order in their restaurant, is just gorgeous! This is just so wonderfully taken there is no need to put into words how awesome this was. YES I AM SHAMELESS. But I proved my point, because I can see you trying to lick the XO sauce off the scallop. STOP IT that is just a photo. Um, stop doing that GET YOUR TONGUE OFF THE SCREEN. Of course, what is a food party without desserts? Besides the Mango Pudding, they also have Herbal Jelly and Mango Pomelo Sago for their delivery menu. I would strongly suggest the Herbal Jelly if you are going to be partying the night away - the health and beauty benefits from Herbal Jelly is just too good to pass it up. 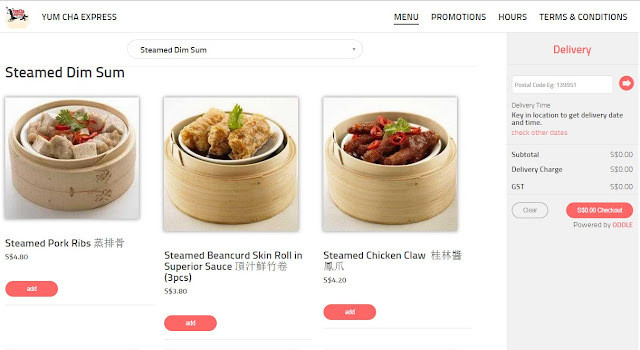 Besides the ala-carte items, Yum Cha Express also has Dim Sum Sets and Bento Sets for you to choose from, making it even easier for you to just order with lesser hassle, which in my opinion, is just genius! To stop you from licking your screen and to get you started on your Dim Sum party, Yum Cha Express has provided the Evilbean with a promotional code, specially for readers of Talkingevilbean! 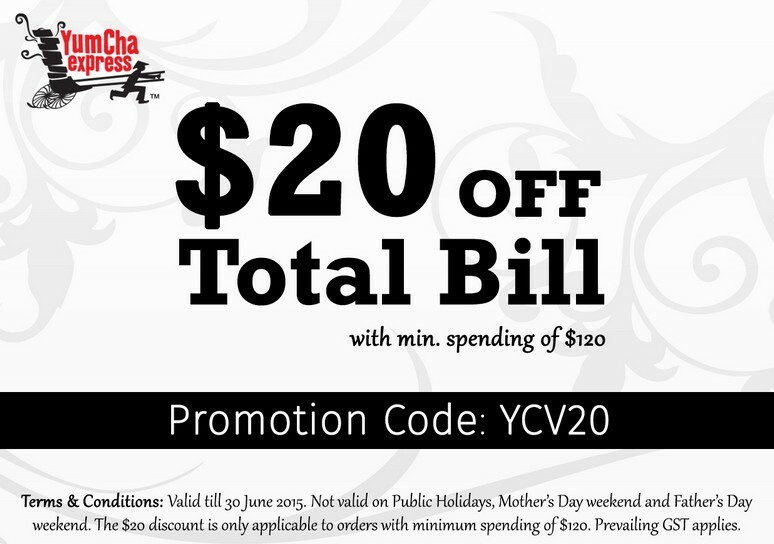 Do note that this promotion code is valid till 30 June 2015 only, so if you are intending to plan a party, do it real soon to utilise this offer! Yum Cha is really keen to be the food host for your party. 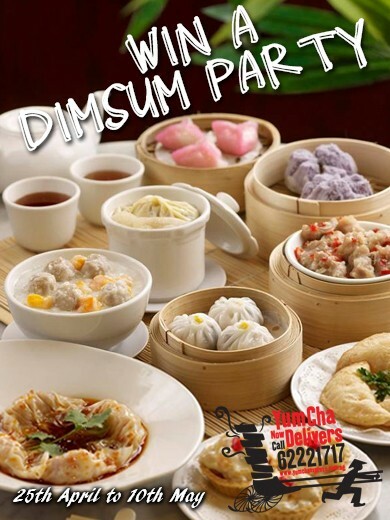 So keen that they are actually giving away a Dim Sum party worth a whopping $300 for one lucky winner! And it's so easy to enter! 4. Tag at least 5 friends. The more you tag, the higher chances of winning! That's it! This contest will end on 10 May 2015, and it's sooo easy to enter, it would be a waste if you did not even try! "Erm Evilbean, how to order from Yum Cha Express ar?" No worries, the ever awesome Evilbean is here to provide you a step-by-step guide! 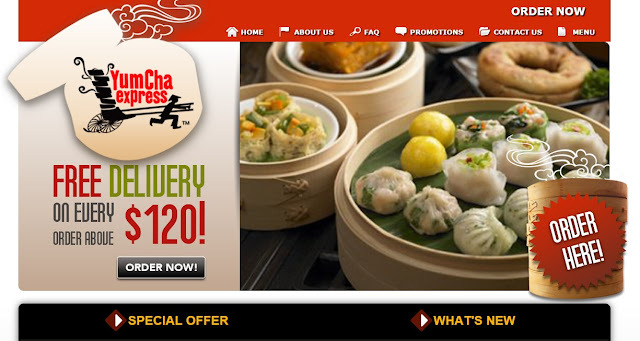 Step 1: Go to http://yumchaexpress.com.sg. Click the “ORDER NOW” button. Step 2: Choose your dim sum or dishes (remember to order the BBQ Pork Bun and XO Scallops to your orders!) and click the “ADD” button to add to cart. Enter your postal code and click the red arrow to generate location. 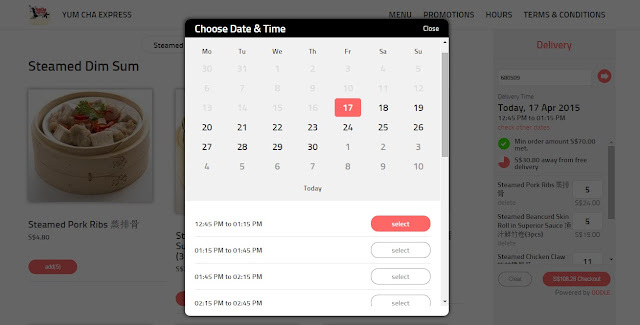 Step 3: Select your desired delivery date and time by clicking on “CHECK OTHER DATES”. Step 4: Enter your personal details, delivery address, delivery time & time, number of pax, promotion code (it's YCV20, valid until 30 June 2015) and preferred form of payment. There are 2 payment modes - credit card (visa / mastercard) and cash. If you would like to pay by credit card, please state it in the remarks section. Otherwise, it'll be cash upon delivery. 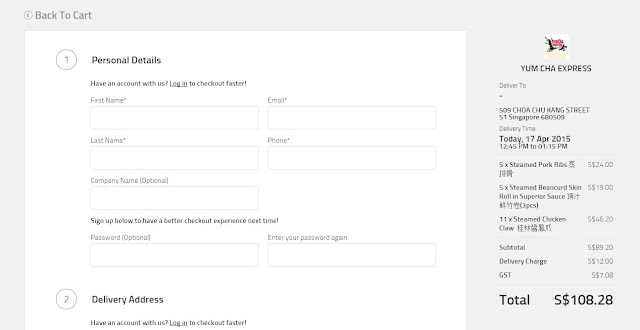 Finally, click “SUBMIT ORDER”. Start preparing your music, games and entertainment and get ready for an interesting, first-of-its-kind, DIM SUM PARTYYYYYYY! OH GOD STOP DOING THAT, and just go and order from Yum Cha Express already! 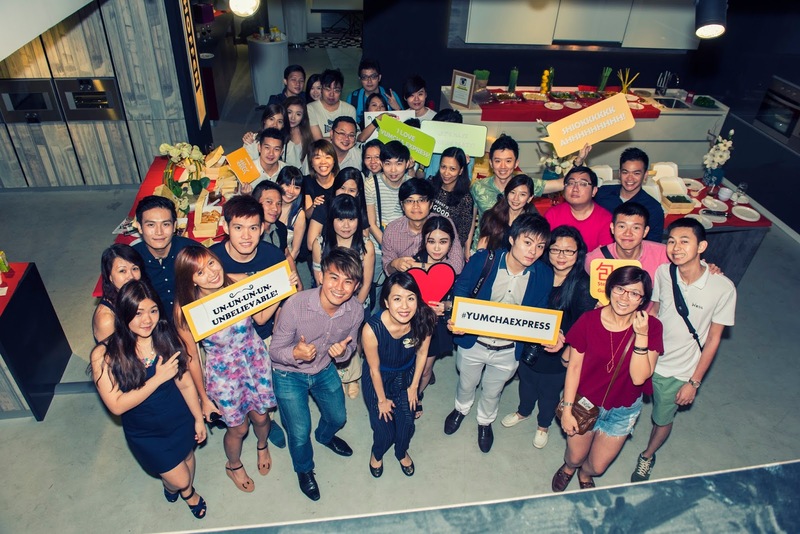 Thank you The Influencer Network and Yum Cha for the invite! LOLLLL! that nom nom nom nom gif is too funny la! !